Mac users don’t need to do this. Participants who didn’t install the software yet will get those instructions at the beginning of the workshop. It speeds things up it it’s installed before. This workshop is an introduction to Processing for Android, and specifically the creative potential of the hardware features built into Android devices shipped today.We’ll create a series of projects using motion and position sensors, the touch screen panel, geolocation and compass, front and back cameras, WiFi networking, peer-to-peer networking using Bluetooth and WiFi Direct, databases, and 3D scenes on the Android. Daniel Sauter is an artist who creates interactive installations and site-specific interventions dealing with the cultural and social implications of emerging technologies. 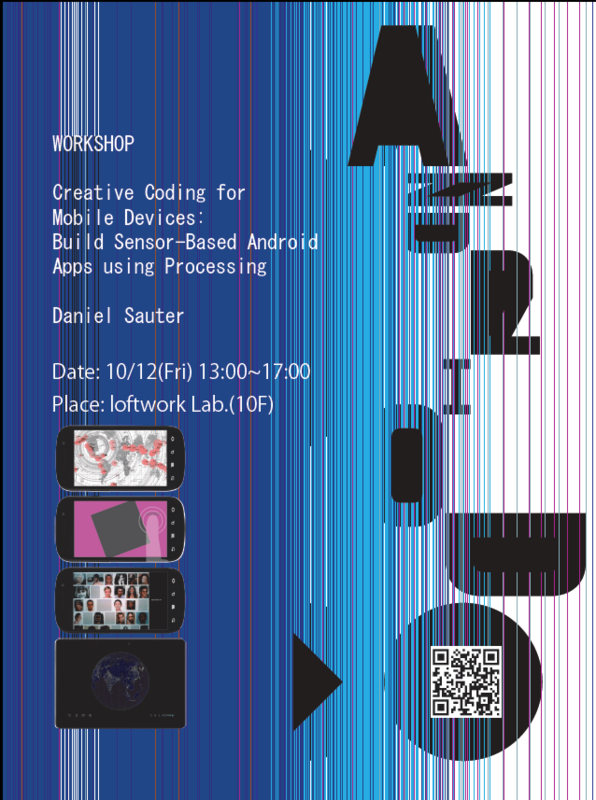 He is an Associate Professor of New Media Arts at the University of Illinois at Chicago, School of Art and Design, organizer of the Mobile Processing Conference in Chicago, and author of Rapid Android Development: Build Rich, Sensor-Based Applications with Processing (Pragmatic, 2012).